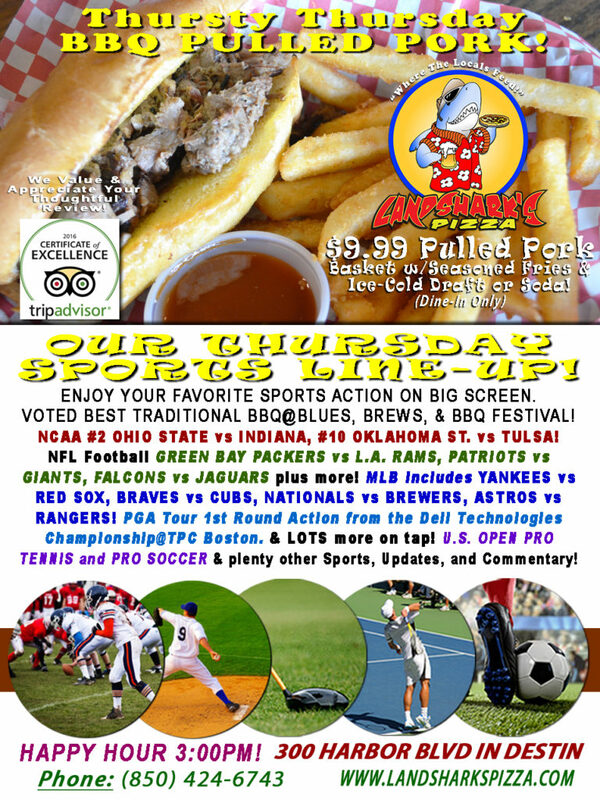 / BBQ / Thursty Thursday FOOTBALL BONANZA COLLEGE & NFL Pigskin, PGA & MLB, $9.99 Slow-Smoked BBQ Basket & Draft or Soda! Thursty Thursday FOOTBALL BONANZA COLLEGE & NFL Pigskin, PGA & MLB, $9.99 Slow-Smoked BBQ Basket & Draft or Soda! It’s the time of year that can bring a tear of joy to your eye as we unleash both NCAA and Pro Football to get you pumped up with excitement. 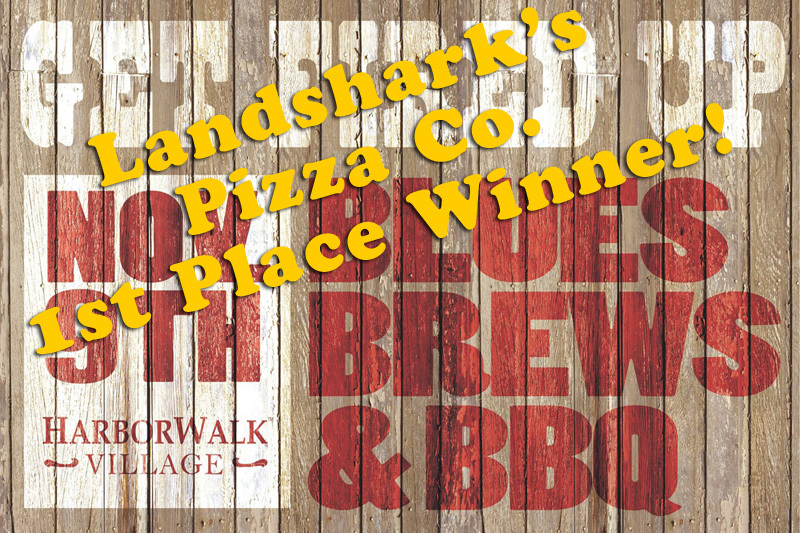 Yes, we’re BRINGING IT along with our award-winning food: Destin’s 1st Place & People’s Choice BBQ Winning, Slowly smoked, tender, juicy & delicious FALL-OFF-THE-BONE PULLED PORK basket with Succulent Seasoned Fries and your choice of an icy-cold domestic Draft Beer (or Soda) – Just $9.99 (dine-in)! 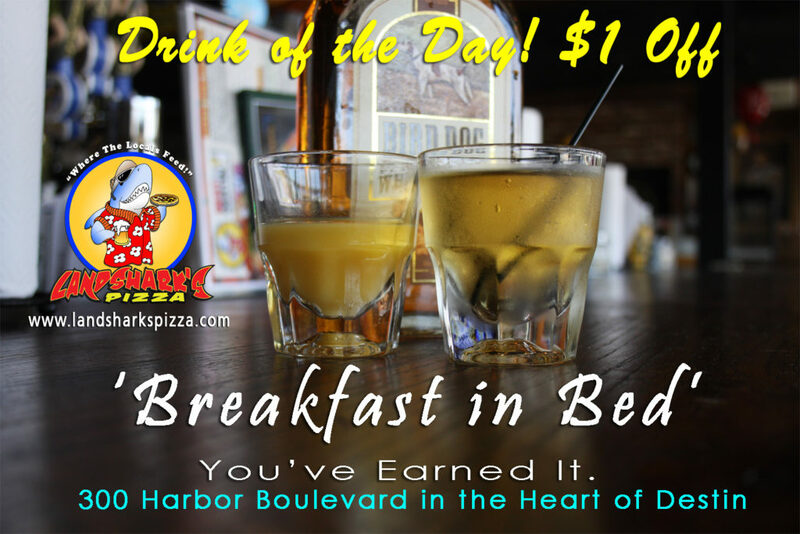 TODAY’S LANDSHARK’S DRINK OF THE DAY – Treat yourself like the special person you really are with a Landshark’s ‘BREAKFAST IN BED’ Cocktail $1.00 OFF ALL DAY. 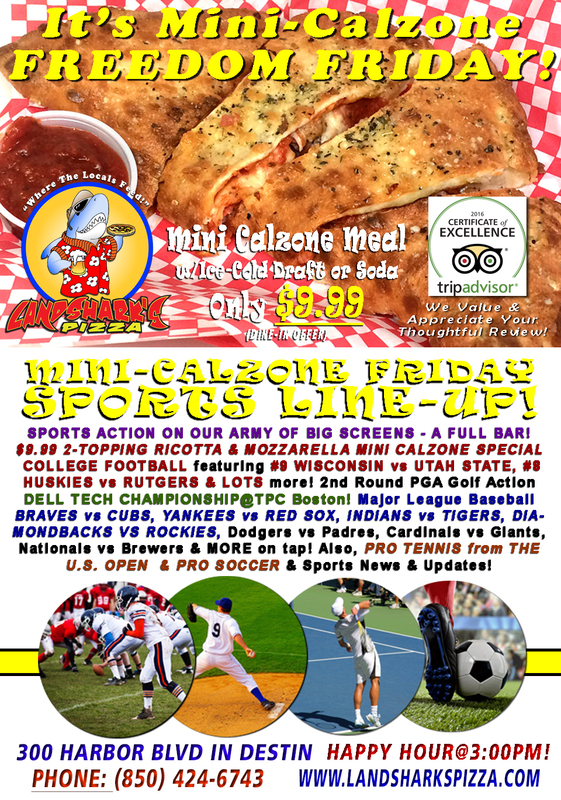 SPORTS ON OUR ARMY OF BIG SCREENS – Slobberknockin’ COLLEGE FOOTBALL with #2 OHIO STATE vs INDIANA, #10 OKLAHOMA STATE vs TULSA, plus Minnesota, Wake Forest, UCF, Arizona St. & more! 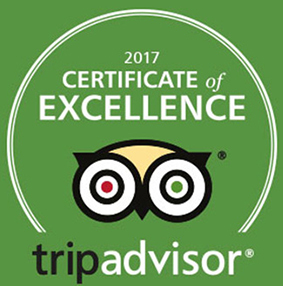 Bonecrushing NFL Football featuring GREEN BAY PACKERS vs L.A. RAMS, PATRIOTS vs GIANTS, FALCONS vs JAGUARS & LOTS more! 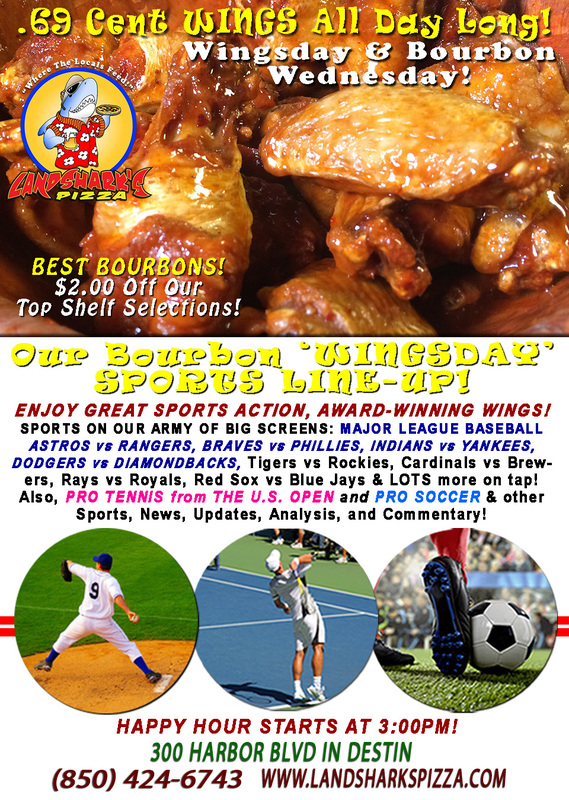 Major League Baseball including YANKEES vs RED SOX, BRAVES vs CUBS, NATIONALS vs BREWERS, ASTROS vs RANGERS & others on tap! Watch PGA Tour 1st Round Action from the Dell Technologies Championship@TPC Boston. Also, U.S. OPEN PRO TENNIS and PRO SOCCER coverage plus plenty of other Sports Broadcasts, Sporting News, Analysis, and Commentary! NASCAR This Week: (Saturday) Xfinity Help A Hero 200@Darlington Raceway. (Sunday) Monster Energy Cup Series Bojangles Southern 500@Darlington Raceway AND Camping World Trucks Chevy Silverado 250@Canadian Tire Motorsport Park. Previous Post: « It’s WINGSDAY! 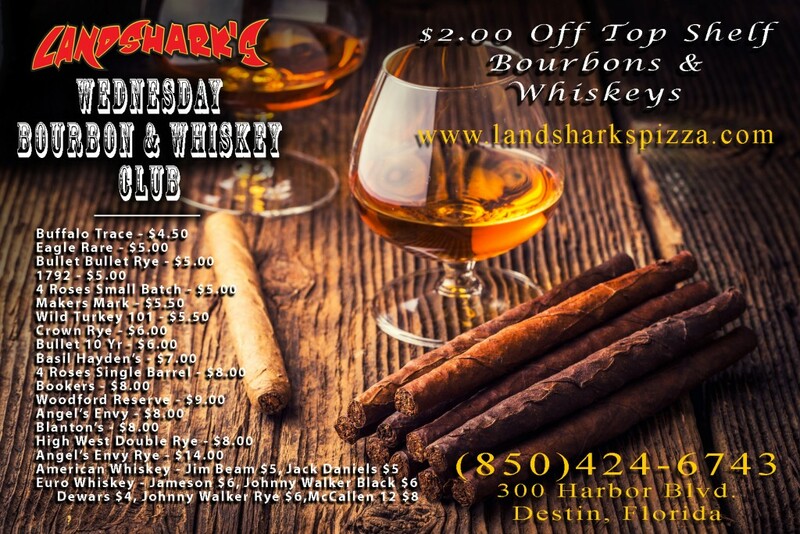 Landshark’s Award-Winning Wings 69¢ Each & $2 Off Top Shelf BOURBONS & US OPEN!